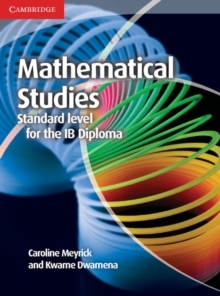 This completely new title is written to specifically cover the new IB Diploma Mathematical Studies syllabus. 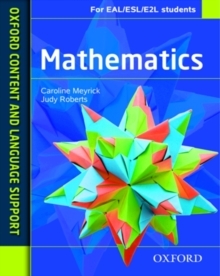 The significance of mathematics for practical applications is a prominent theme throughout this coursebook, supported with Theory of Knowledge, internationalism and application links to encourage an appreciation of the broader contexts of mathematics. Mathematical modelling is also a key feature. GDC tips are integrated throughout, with a dedicated GDC chapter for those needing more support. Exam hints and IB exam-style questions are provided within each chapter; sample exam papers (online) can be tackled in exam-style conditions for further exam preparation. Guidance and support for the internal assessment is also available, providing advice on good practice when writing the project.